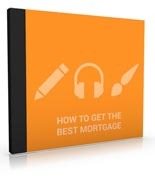 There are 10 audio parts talking about how to get the best mortgage in this pack! Audio #3 Can I Finance a Foreclosure? Audio #6 How Does My Credit Affect Mortgage Rates?